We pass knowledge and wisdom to the next generation through books, articles, videos and many other forms of media. That is how society evolves and how the world changes for the better. By learning from what others have gained from experience, we skip years of costly trial and error and use what we learned to advance even further than before. 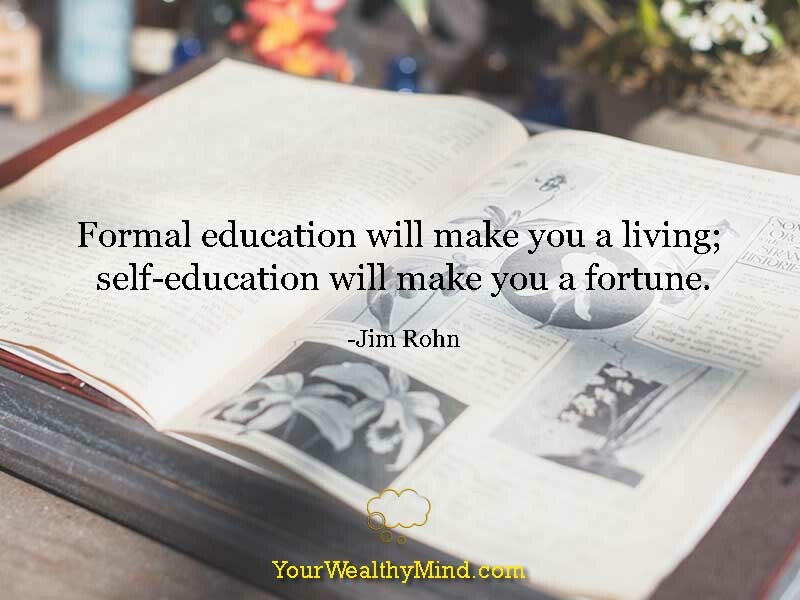 By investing in knowledge, we increase our chances of becoming more successful. The more we know, the more opportunities we’ll be able to use as well as create. There is, however, one caveat to this and it’s the reason why so many “smart” and well-read people end up in mediocrity. Do not make the mistake of thinking that “knowledge is power.” It certainly isn’t. Or at least, not knowledge alone. Some time ago, I’ve read that aside from stocks/equities and businesses, real estate and rental properties are some of the best kinds of investments out there. Because of that, I’ve bought and read some books to learn more about that subject, and indeed, knowing how to use partnerships, lease options, seller financing and the like would be really helpful. By properly investing in real estate, there’s potentially thousands of dollars worth of profit for every deal. There’s only one problem, however. I decided to avoid investing in real estate. And there’s the downside to it all. You can indeed memorize engineering books and physics formulas, but if you don’t use them to actually create things, then just about everything you learned is useless. You can memorize color theory, the ratios of faces and body parts, and how to use different pencils and brushes, but if you never draw or create art, then that knowledge is useless as well. If you don’t use what you’ve learned, then it’s similar to having a never-used car inside your garage. You could have used it to go places, but it just sits there, rusting away until it gets forgotten. You can indeed buy all the books that can teach you everything you need to succeed at something, but if you never practice using that knowledge then it’s absolutely useless. With everything written here, you might be tempted to think that you should STOP reading books or stop listening to instructional videos. DON’T. Remember, my main point here is that knowledge will only become useful if you decide to USE IT. After all, you can only do the job you do now and earn money from it BECAUSE you learned how to do the work. You’ll also only earn that much BECAUSE that’s all you’ve learned to do. The question now is, what should you learn next? If the best you’ve ever learned to do is type documents and do office worker stuff, then the best you’ll earn is an office worker’s salary. If you’ve learned how to lead and manage 300 office workers, then you’ll earn the higher salary of a manager. If you’ve learned how to build a business around a product you have and then market it and fill a demand for your product, then depending on how well you fill a need you’ll have the MUCH better income of a business owner or CEO. So again, what should you study next? You have to deliberately pick something that you can use, and practice it. Unless you’re reading about things for fun (I like to read about science and biology sometimes), don’t waste your time reading things you don’t intend to make use of. 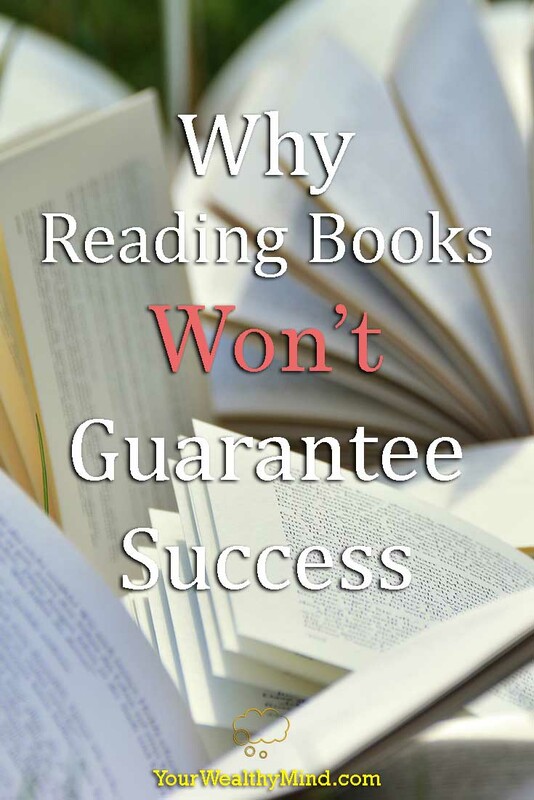 Remember that being well-read is not a guarantee that you’ll be smarter and more successful than everyone else. Now let me tell you the REAL reason why I read a bit about real estate even though I never really planned on investing in it for now. I simply wanted to learn more about to see if I MIGHT actually want to try it. For most of us, the “unknown” is scary. Most people don’t know how the stock market works and they hear about people “betting” on stocks and losing a lot of money, so they fear it. People like me, on the other hand, became interested in it because of the potential returns. Let me tell you this. The stock market becomes a LOT less scary when you learn about the risks… and how to avoid them and maximize your returns. It’s similar to riding a bike. It seems scary at first, but when you learn how to ride it well, it becomes fun and exciting. 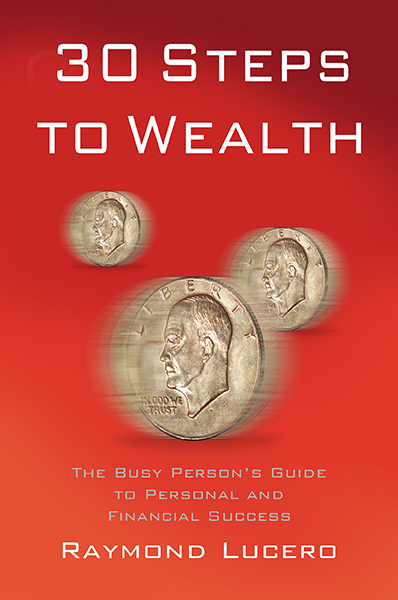 If you don’t study and read about stocks, bonds, mutual funds, real estate, venture capitalism or other similar ways to use money to earn more money, then those opportunities and vehicles for financial success will be permanently closed to you. Instead of generating millions of dollars of apartment rental income, the empty lot in your head will stay empty. Warrenn Buffett said “risk comes from not knowing what you’re doing.” Indeed, popping down millions in an “investment” you don’t understand is definitely risky. That is why I wanted to learn more about real estate. It’s definitely a possibility for me now, but due to the risks involved that I currently cannot take, I will not make use of it yet. In any case, never forget that you will only see and USE possibilities when you LEARN about them. Keep reading, keep learning, and keep working on improving your life. Fail to do so, and the world will leave you behind. If you DO manage to make it a habit, then success will soon be yours. Knowledge becomes power, but ONLY when you use it well.